In December of 2009, I took an on-line class from Mary Ann Moss called Remains of the Day. Since that time, I have been fascinated with the idea of using up all of the paper that I collected over the years. My first ROD journal was filled with writing, photos and ephemera from my everyday life. I decided to begin this new year with another ROD journal. Below are the beginnings of my pages. I start by going through my paper box and selecting papers to be cut. 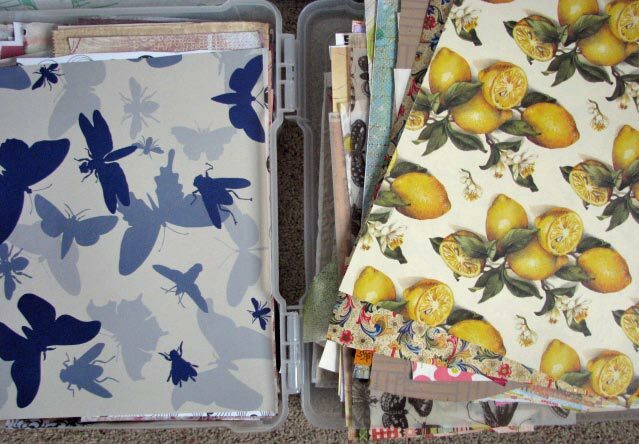 This is the box that I keep full size papers in, usually papers that are 12″x12″ or a bit smaller. The papers in this box are usually scrapbook, gift wrap or any heavier paper like cardstock. My cutting table and scraps. 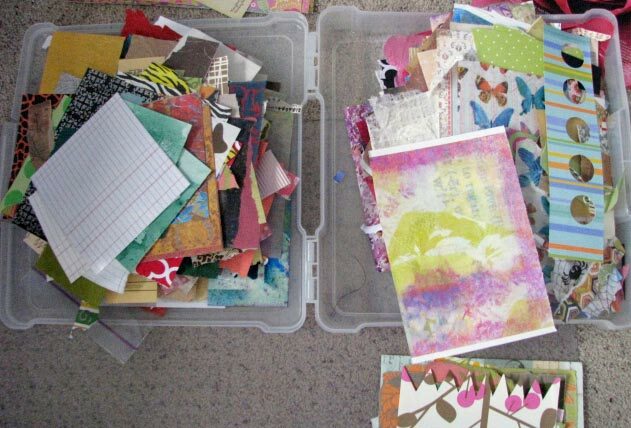 This is my scrap box for smaller pieces that I have used for other projects or interesting ephemera that I have collected. 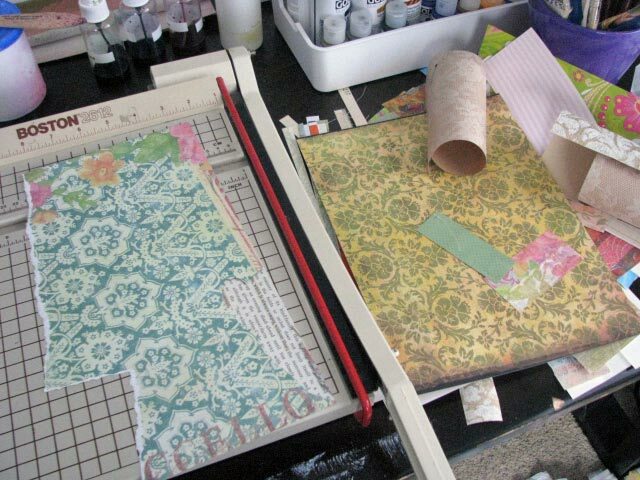 I select paper from both boxes and start sewing to create my journal pages to size and then fold them in half to create the pages for the signatures. Below is a stack of sewn pages waiting for more scraps. If you want to make your own Remains of the Day Journal to celebrate the New Year, check out the on-line class taught by Mary Ann Moss. 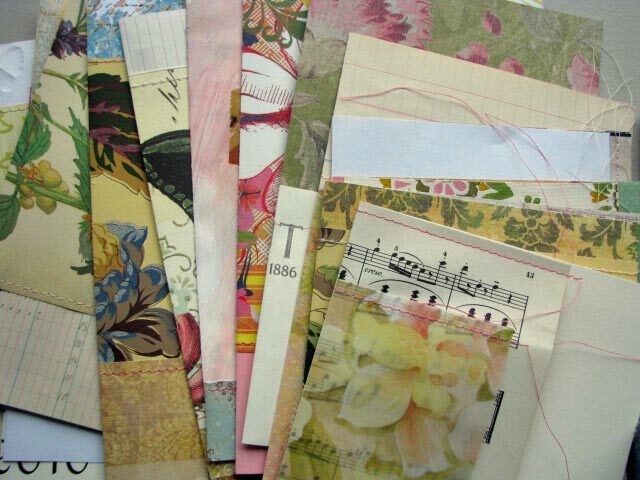 This class is very inspiring and once you get the concept of creating these journals you will become obsessed with using all of those scraps that you’ve been saving. This entry was posted in 2011 and tagged art journal. Bookmark the permalink. What lovely papers you have! I hope you are enjoying your journal. Your journal is beautiful! What a wonderful selection of papers! Your paper stash looks so inviting! I’m visiting you from ROD and am so enjoying visiting blogs and getting to know everyone! Hello! You make wonderful things! I love the colourful quilt I saw in your older post! Thank you Teje. Happy New Year to you as well.